Who can drive the vehicles? The vans can only be driven by authorized drivers. An authorized driver is one approved by our insurance carrier – Erie Insurance. If you are a race director and would like to become an authorized driver, please contact racesupport@mcrrc.org. What is the responsibility of the van driver? The van driver should treat the vehicle as he/she would his/her own vehicle. Additionally, the driver must fill out the MCRRC Driving Log each time the vehicle is driven. This log will be kept in the vehicle. You may not possess, serve, be under the influence of, or drink alcohol or be in any way impaired, while operating an MCRRC vehicle. Drivers are expected to obey all traffic laws, including the posted speed limit, at all times while operating an MCRRC vehicle. MCRRC will not compensate any driver for a parking ticket, speeding ticket, or any other fine or violation, nor will our representatives appear in court or provide compensation for any court/ attorney fees resulting in a violation by a driver. The driver will report any anomalous van condition to the Executive Director at office@mcrrc.org. Who can authorize use of vans? The Director or the Race Operations Assistant can authorize use of the vans. 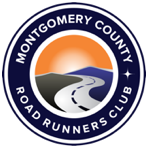 First priority is the Race Director and/or timing team for any club race or any official club activity. Second priority is an RMS event. If you would like to use a club van, please contact the Director or Race Operations Assistant to check on that week’s schedule. The MCRRC staff is expected to keep the vehicles with at least a half tank of gas. Should any authorized driver find the tank with less than a half tank, or use enough gas to cause it to drop below this level, please take it to the gas station before returning to the clubhouse. Receipts for gas may be turned into bookkeeper@mcrrc.org for reimbursement. The vans will be taken in for the recommended routine maintenance. It will be taken in for repairs as necessary, which will be authorized by the Director.